Home Beds & Mattresses Beds LOVE Ivory & Oak Finish 4ft 6 Double Bed. 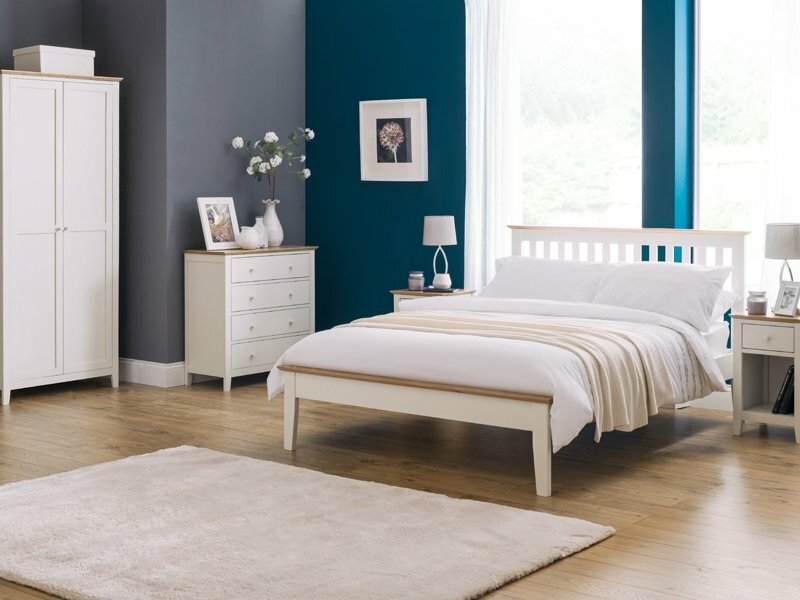 The LOVE is a timeless shaker styled bed with refined detailing finished in a durable Lacquer. 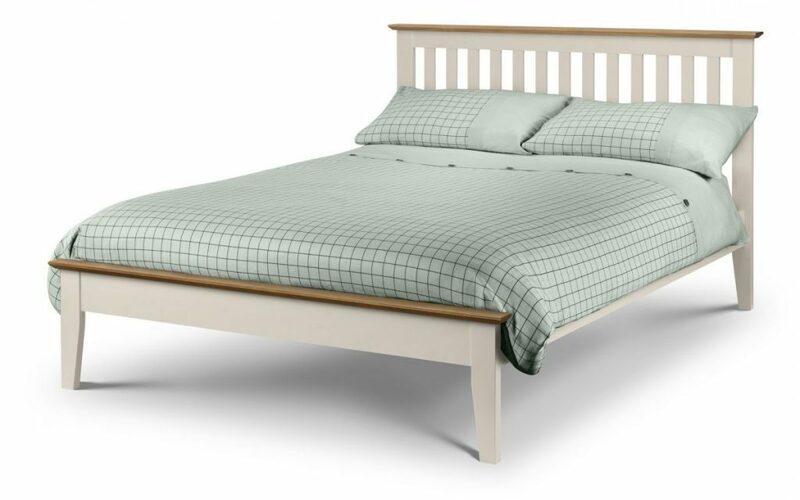 Featuring a sprung slatted base for extra comfort and additional mattress life with sturdy easy to assemble fittings.